"LEAVE NOW, OR I'LL FINISH HITLER'S JOB FOR HIM!" For many Holocaust survivors who chose to go home after liberation, return was a chastening experience. Not only did they typically have to confront the reality of the loss of their families and communities; many also had to face hostility from their non-Jewish neighbours. 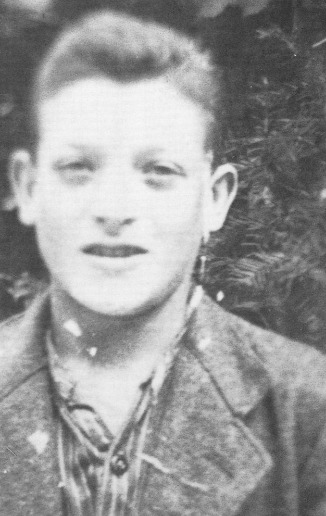 Josef Perl was a young Auschwitz survivor who returned to his family home in Veliky Bochkov, which had been in Czechoslovakia before the war and was in the Soviet Union after it. Suddenly, my house came into view... I felt I was floating down the road, and stopped at the gate to my house full of hope and expectation, my heart pounding, my mind in a whirl, tears of joy rolling down my cheeks. I stepped through onto the garden path and walked up to the front door. As I approached, the door opened. I recognised the man as one of our Christian neighbours who had worked for my father. He had known my family since before I was born and we had been good friends. But now, seeing me standing there, a wave of shock and hatred spread over his face. He pointed a shotgun at me. "You are still alive? What do you want?" he shouted angrily. "This is my home. I want to come in, I'm looking for my family", I pleaded. "Get out of here. Get out!" he yelled. "This is my house now. Mine and my children's. Get out, there's no-one and nothing for you here". "I'm so tired", I begged, "please let me at least sleep in the stable for the night". He aimed his gun at me again. I walked down the garden path and sat down on the grass by the road where I used to play as an innocent child and sobbed and sobbed for all that I had lost. Many Holocaust survivors faced similar reactions; in some cases, they were murdered by former neighbours who feared that they would lose the possessions they had taken from or been entrusted with by Jewish families. The persistence of antisemitic violence after the Holocaust was an indication that its root causes had not been eliminated with the defeat of the Nazis.